What should you do if you believe that your systems have been compromised by an information security breach? Don’t panic - this guide gives a step-by-step solution. Establishing an understanding of the PCI DSS is an essential step to ensuring a successful PCI compliance project. To help our clients improve their knowledge and understanding, we have developed a range of Information Security Training courses for both the technical and non-technical members of your team. Our training courses are based on the knowledge and experience we have gained through working closely with PCI DSS since 2004 and are delivered both as public courses and as bespoke in-house training sessions. 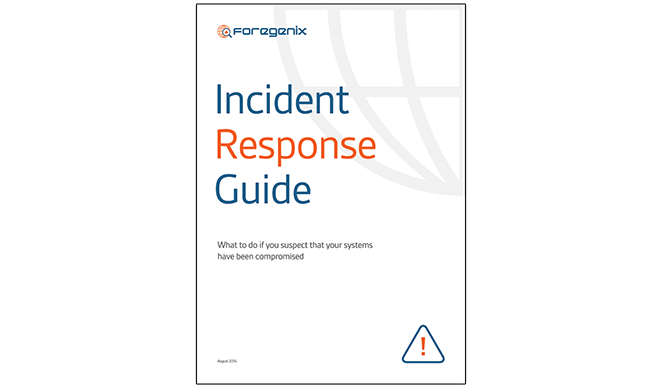 Important technical details about the latest security threats, as well as updates from our Digital Forensics and Incident Response team and PCI DSS Consultants.